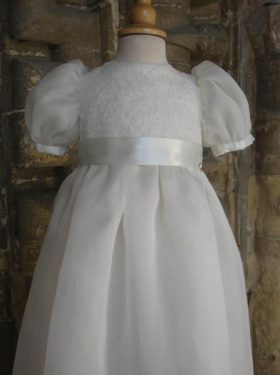 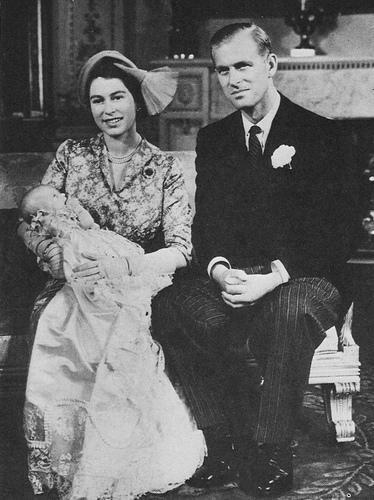 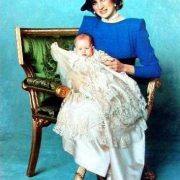 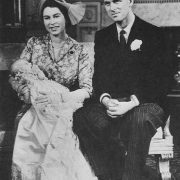 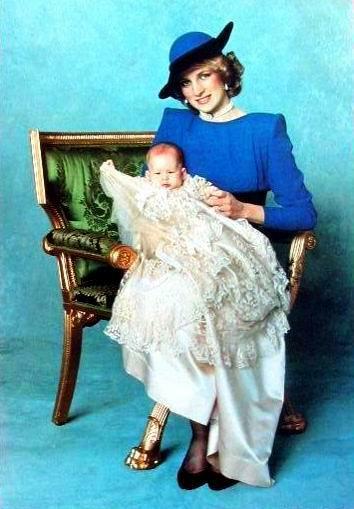 The Royal Christening Gown has been created to celebrate the baptism of Prince George. 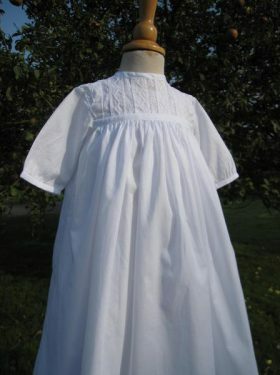 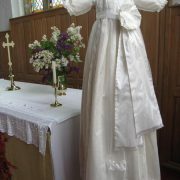 Little Doves is proud to present its own take on the original Victorian Royal Family's Baptism Gown. 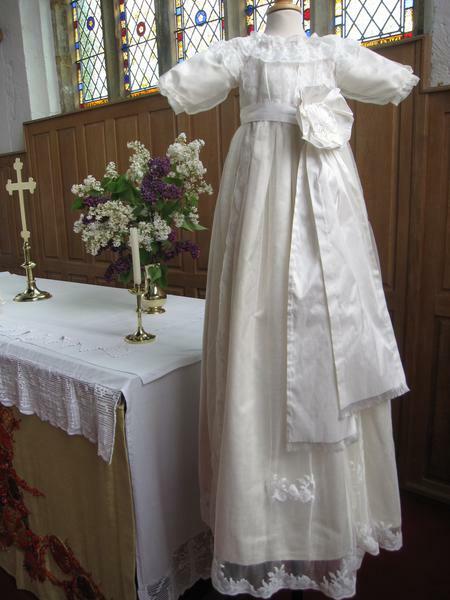 This gown is made from silk satin with a ruffled lace overlay. 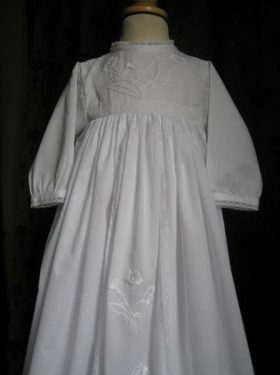 Typical of the Victorian era of the original Royal Gown, the gown has a high yoke which joins a beautiful long trailing skirt. 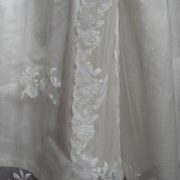 It bears 3/4 length sleeves and a wide silk sash. 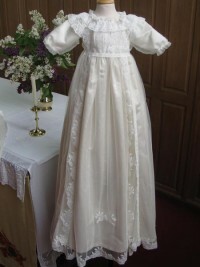 The gown is extremely classy and created from the finest silks and laces. 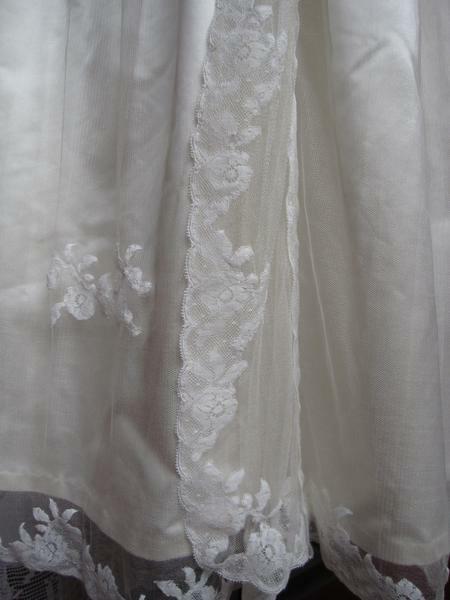 The robings that adorn the sides of the front skirt panel and around the hemline have been carfeully appliqued with Swiss cotton lace to create this wonderful lace tulle effect. 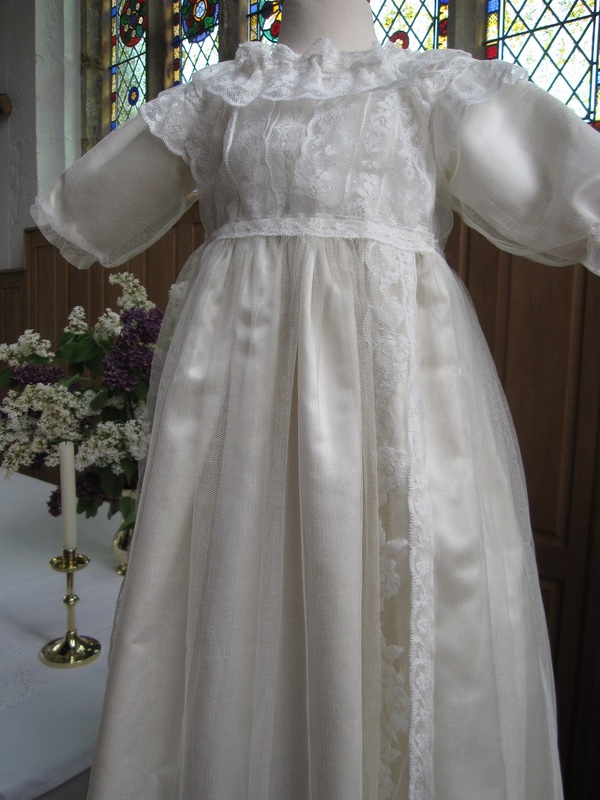 This is clearly an imposing gown for a very special occasion indeed and, with all of the lace and silk, there is something so adorable about seeing a baby dressed up in such a garment. 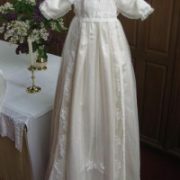 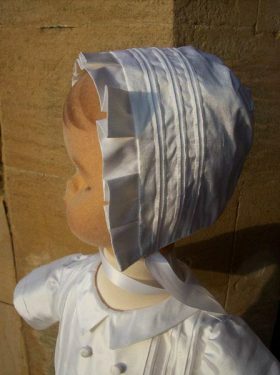 Bonnets, booties and bibs are also available to accompany this gown.